My name is Rabbi Torey Bowen. 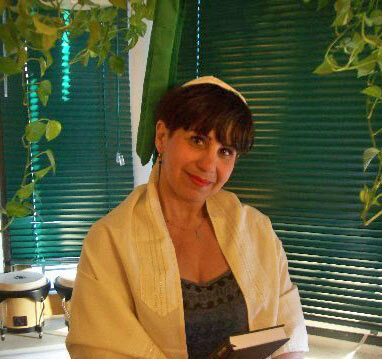 I am an Independent Rabbi in New York City and a graduate of the Rabbinical Seminary International. I would be delighted to officiate at your wedding and other life cycle events such as baby namings, adoptiion welcoming, landmark birthdays, funerals, or any significant event where you would welcome the spark of Jewish spirituality. As a Modern Rabbi I would be happy to officiate at interfaith weddings, where I will help create a meaningful ceremony where both faiths will be represented with respect and the common thread will be the focus. "Never instead of; always in addition to". I am based in New York City, but will work in New Jersey, Connecticut as well as Pennsylvania. I will also consider other locations. All of Humankind was created in God's Image. Every human who walks the Earth is equally valuable and Holy. We are all God's partners in creating a beautiful world. Shema Yisroel, Adonai Elohainu, Adonai Echad. Hear O Humankind, the Lord is Our God, the Lord is ONE.